Live Catalog - SUPERIOR AUCTION & APPRAISAL LLC. Watch Auctions Close Live Online With The Live Catalog and Staggered Soft Close Lots! Before The Auction Begins Closing, A New Catalog View Will Appear! 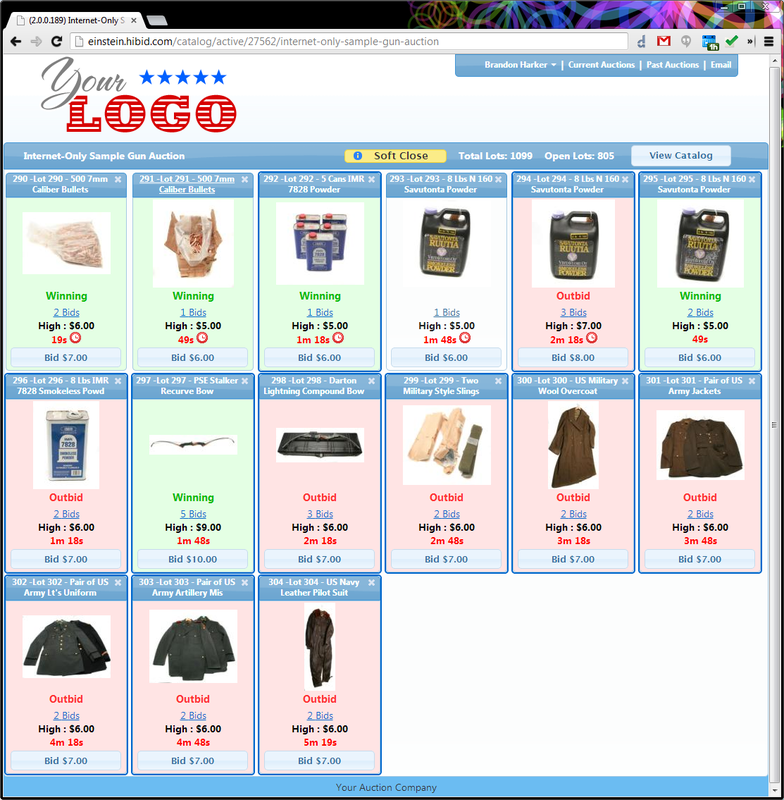 Shortly Before The Lots Begin To Close A Flashing Button Will Appear That Says "Live Catalog". When You Click This Button You Will Get A view Similar To The One Below. Auction Lots Are Set To Stagger Close Meaning That They Don't All End At Once. In The Live Catalog You Can Watch The Whole Auction As It Is Closing, Just Like A Live Auction. We Also Use A Feature Called "Soft-Close". This Feature Allows Bidding On An Item To Extend If Bidding Picks Up Near The Close By Adding Two Minutes Time To The Lot For Every Bid That Occurs While There Is Less Than Three Minutes Left To Bid. Meaning That Bidding On An Item Stays Open As Long As Someone Keeps Bidding! The Live Catalog Is A Great Way To Enjoy The Excitement Of A Live Auction From The Comfort Of Your Own Home. Go To The Next Step: Payment & Account Options!